Mary and I have fond memories of using early generation Bowens monolights; they were our first really “good” lighting system when we set up our studio in 1982. We loved shooting with those big, black, paint-can-shaped 800B monolights because they were inexpensive, dependable, and powerful. From what I can tell from my tests of their two-light Gemini 400Rx Kit that continues to be the case. The Bowens Gemini Rx monolight family includes two models: 200Rx and 400Rx; the 200Rx has 200 ws output while the 400Rx model I tested delivers 400 ws. Weighing in at under 6 lbs, the Gemini 400Rx monolight is lightweight and includes a built-in Pulsar radio receiver atop the monolight’s housing that’s controlled (off-slave-radio) via a soft-touch push button. The Pulsar system lets you control up to 24 different zones, using four channels and six studio settings, enabling shooters to isolate light sources or combine to fire them at once, all without leaving camera position. This feature may be useful in architectural photography or when used in a large studio with multiple shooters, or it can be simply used in a typical two-light studio or location setting. The two-head kit includes two Gemini 400Rx monolights with wide-angle reflectors, two solidly built Bowens light stands, and two 36” silver/white umbrellas with slip cases. Weighing in at under 6 lbs, the Gemini 400Rx monolight is lightweight and includes a built-in Pulsar radio receiver atop the monolight’s housing. 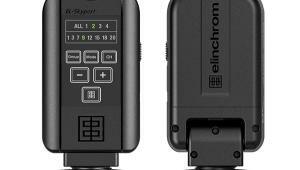 The two-button Pulsar transmitter slips onto your camera’s hot shoe, has a range of 80 feet, and there’s a traditional flash sync connector on its side to provide “belt and suspenders” control. The transmitter is powered by the same CR2032 cell used in my home entertainment system’s active 3D glasses, which chews through batteries like The Hulk going through a concrete wall. 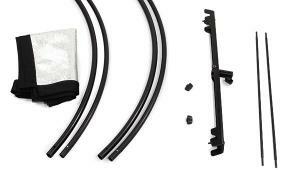 When used in the Pulsar transmitter, my experience was much better and I never encountered battery life issues. 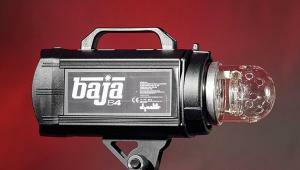 The Pulsar system lets you control up to 24 different zones, using four channels and six studio settings, enabling shooters to isolate light sources or combine to fire them at once, all without leaving camera position. 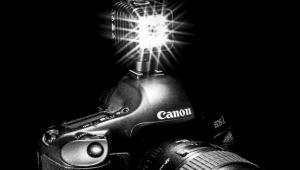 Travelpak batteries can power the Gemini monolights miles from an electrical outlet. A rocker switch on the back of the 400Rx controls three modeling light modes, including full, proportional, and off. At lower power settings, proportional mode produces a dim modeling light but it’s not dark enough to cause AF problems for any of the cameras I used. For my initial test shots with Mary, the main light was placed at camera right with a second 400Rx located at the back of the studio and slightly behind my shooting position. With the main light at slightly less than half power and the fill light at one stop less, I was able to produce a shooting aperture of f/9 and ISO 100. Tip: Use full modeling light power sparingly. Flicking it to full power makes it really bright (good), but even after a short shooting session the reflectors got really hot (bad). It’s not enough to burn your hands but you wouldn’t want to hang on to the reflector for an extended time. Mary’s new dress had a Mondrian-like look and its colors popped out from the Belle Drape gray muslin background. Camera was a Canon EOS 60D with an EF-S 15-85mm f/3.5-5.6 IS lens set at 35mm. With the 400Rx monolights at power settings producing a more or less 3:1 lighting ratio, exposure was 1/125 sec at f/10 and ISO 100. Output power is controlled by a rocker switch with three positions: AC power, on, and battery. The monolights are compatible with Bowens’ optional two-part Travelpak battery pack that provides power up to 3000 ws, recycles in up to two seconds, and produces up to 750 shots from a single charge. 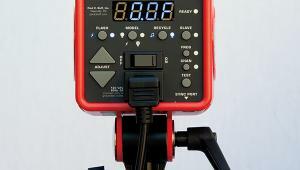 The Bowens Travelpak Control Panel ($474.95) when used with either large ($194.95) or small ($174.95) Travelpak batteries can power the Gemini monolights miles from an electrical outlet, but what makes them unique is the ability to swap a fresh battery for a depleted one in the time it takes to switch the control panel from the top of one to the other without having to wait for a battery to recharge. 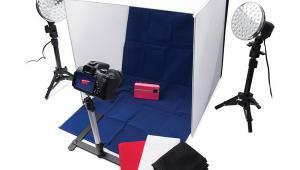 This not only saves time but more importantly lets you maintain momentum in the middle of a shoot. This is one of the first images I made of Stevie Weisbeck using the same lighting setup as the full-length pose of Mary, but this time the image was captured using an Olympus OM-D Micro Four Thirds camera and an Olympus 12-50mm f/3.5-6.3 power zoom lens set at 22mm. Exposure was 1/125 sec at f/9 and ISO 200. 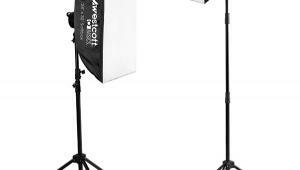 The two-head kit includes two Gemini 400Rx monolights with wide-angle reflectors, two solidly built Bowens light stands, and two 36” silver/white umbrellas with slip cases. The umbrella’s black cover is removable, allowing you to fire through the umbrella much like a softbox and adds versatility to the kit. The umbrellas are perfect for portraiture or still life applications and are part of a larger system that includes light banks and hard reflectors such as a Softlite Reflector (beauty dish) with optional grids. 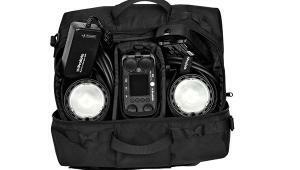 If you don’t want to use the Pulsar and go old school, the kit includes a sync cord with phone plug along with power cables, modeling lamps, and flash tubes, all of which pack into a sturdy fabric carrying case. All these components make for an easy-to-use and effective two-light lighting setup that will be as much at home in a small studio as on a wedding location. For this lighting setup with Stevie, I removed the 36” Bowens umbrella’s black cover—it was easy to do—and used the umbrella in shoot-through mode on a 400Rx as the main light placed at camera right. 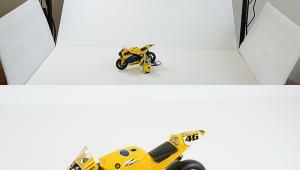 A second 400Rx was located at the back of my 11x15-foot in-home studio just slightly behind my shooting position. Setting up the Bowens kit in my 11x15-foot home studio was easy and I quickly had both Gemini monolights mounted atop the included light stands. The only snag I encountered was when attempting to attach the bayonet-mount reflectors. The spring in the reflector release on the monolight’s housing seems a bit strong and takes more of a push than you might expect to lock the reflector in place. In time the release may, as they say on the British sitcom Are You Being Served?, “ride up with wear” and be easy to use. Each of the Bowens umbrellas easily slipped into the reflector mounts and in less than 15 minutes I was making test shots with Mary. The first lighting setup was a simple one with the 36” silver/white umbrellas used in conventional bounce mode: the main light was placed at camera right, with a second 400Rx located at the back of the studio and slightly behind me. For this setup with Stevie, I kept the 36” Bowens umbrella used in shoot-through mode as the main light at camera right. A second 400Rx monolight was placed behind her and at camera left with no lighting modifiers other than the included reflector, but I was surprised by how well the standard reflector worked in this situation. I believe that the first series of shots in any portrait session should be a warm-up for photographer and subject. For my shoot with model Stevie Weisbeck I started with the same setup I used with Mary, then moved on to other lighting configurations. This is the time to get acquainted with the lighting system under real working conditions and the Bowens 400Rx’s simplicity of operation makes it painless to use when changing setups and adjusting power with the large control knob on the side of the monolight. I even changed camera systems, shooting part of the session with an Olympus OM-D and a 12-50mm f/3.5-6.3 power zoom lens because I’m convinced that Micro Four Thirds is a versatile system that belongs in the toolbox of any working pro. While changing between the Canon EOS 60D and the Olympus OM-D I ran into my only glitch with the Pulsar transmitter. Its plastic shoe is an extremely tight fit on all of the cameras’ hot shoes I tried and, while it’s possible that it too will “ride up with wear,” it was a bit awkward when moving the transmitter back and forth between cameras. For the next series of shoots I used the kit’s components in slightly different ways, so I removed the black cover from one of the 36” Bowens umbrellas, which was quite easy to do, and mounted it in shoot-through mode on the main light. The second 400Rx remained in the same position as it was for the first setup. Tip: Using an umbrella in shoot-through mode means more light is directly fired at the subject, so I adjusted the 400Rx’s power, lowering it to one-third in order to maintain an aperture of f/9. The upside of doing that was the monolight’s already fast (1.2 seconds) recycle time became even faster, which is helpful when working with an active model like Stevie Weisbeck. Never once during any shoots could I outshoot either 400Rx. This simple one-light setup used an inexpensive ($24.95) 60”, 16-rib white Adorama parabolic umbrella mounted in shoot-through mode as the main light and placed at camera right. 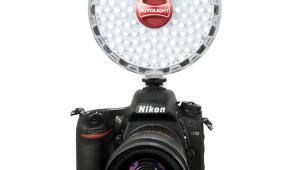 A 32” Flashpoint 5-in-1 Collapsible Disc Reflector is at camera left to serve as fill. The backdrop is BD Company’s Silver Grey seamless paper attached to a JTL background support. If setup was easy, so was knockdown. 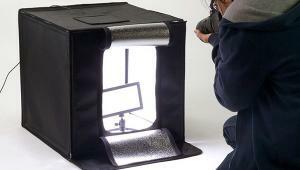 Replacing the back cover on the translucent Bowens umbrellas was surprisingly easy. Tip: Take your time and slip the tips of the cover over the opened umbrella, alternating at opposite ends until gradually placing all of the tips in place. Then close. Pam Simpson looks great in red and when photographed against a Silver Grey seamless background pops out. The lighting couldn’t be simpler: main light on right with 60” white Adorama parabolic umbrella with fill provided (at camera left) with a 32” Flashpoint 5-in-1 reflector. 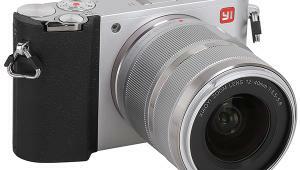 Camera was a Canon EOS 60D with an EF-S 15-85mm f/3.5-5.6 IS lens at 38mm and an exposure of 1/125 sec at f/8 and ISO 100. If you’ve been following along, you probably know what’s next: I kept the main light in the same place but I moved the second 400Rx to the front of the studio with no lighting modifiers other than the included reflector. 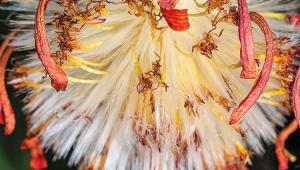 It was placed behind the subject to provide backlight, but some light spilled onto the background. A 15-degree Bowens snoot is optional ($94.95) and might have been a better choice, but how well the standard reflector worked pleasantly surprised me. For the first setup with model Pam Simpson, I used glamour style lighting with both 36” Bowens umbrellas used in shoot-through mode and placed on either side of the model to produce soft, even lighting. Then I extended my experimentation by bringing in light modifiers from Adorama and Westcott to expand the capabilities of the Bowens kit. Unlike some European monolights, the umbrella holder built into the Gemini 400Rx’s reflector accepts US standard 8mm umbrella shafts, not just the 7mm size used by some European lighting systems. 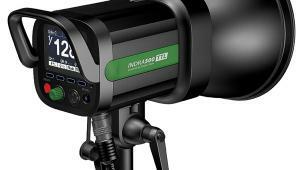 For less than $800, the Bowens Gemini 400Rx Kit represents a substantial value. 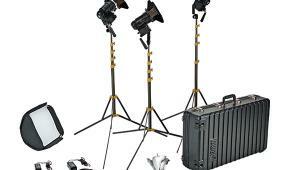 The components are rugged and extremely well built and the bundled umbrellas offer lots of variety for lighting setups. The overall design of the Gemini 400Rx provides easy access to light modification accessories from Bowens USA or third parties. When compared to the cost of a single speedlight, such as a Nikon SB-910 ($549.95) or Canon 600EX-RT ($549.99), the Bowens kit is a lighting bargain. While it can be argued that speedlights automatically compensate for daylight, are smaller, and have sophisticated features, they also come with a steeper learning curve and are more expensive. By comparison, the Bowens Gemini 400Rx Kit has everything you need for on-location or in-studio lighting and you can be up and running in a few minutes with only the slightest glance at the clearly written instructions. 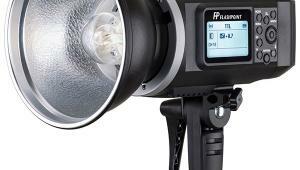 After all these years later, Bowens’ monolights continue to impress. 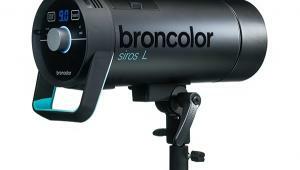 For more information and full specs, contact Bowens USA at www.bowensusa.com.